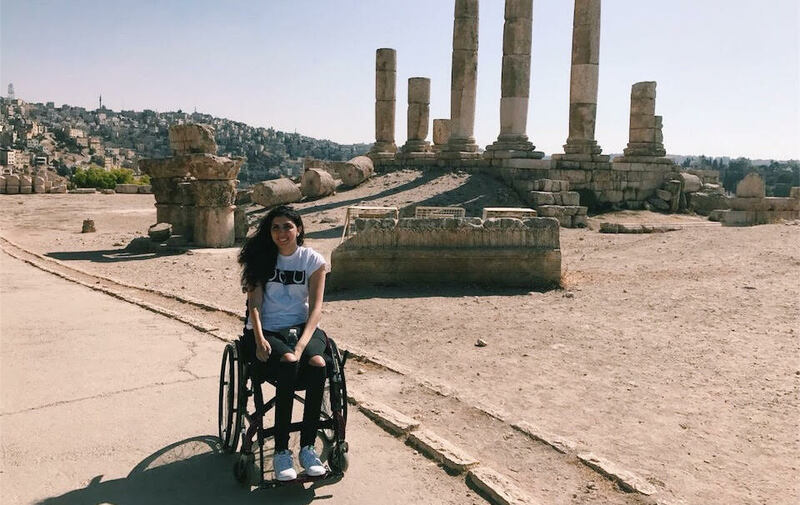 In a time when the word ‘influencer’ is redefined to refer to foodies, fashionistas, and beauty and fitness gurus on social media, Aya Aghabi is blogging and carving her own space on the web to make Jordan wheelchair accessible; creating, in effect, real influence. All Aya Aghabi had to do to capture the attention of restaurants, hotels, embassies, travel agencies, and media contacts in Jordan, was post a link to her website Accessible Jordan, an online guide to all places accessible around the Kingdom, in a Facebook group for Arab female entrepreneurs. 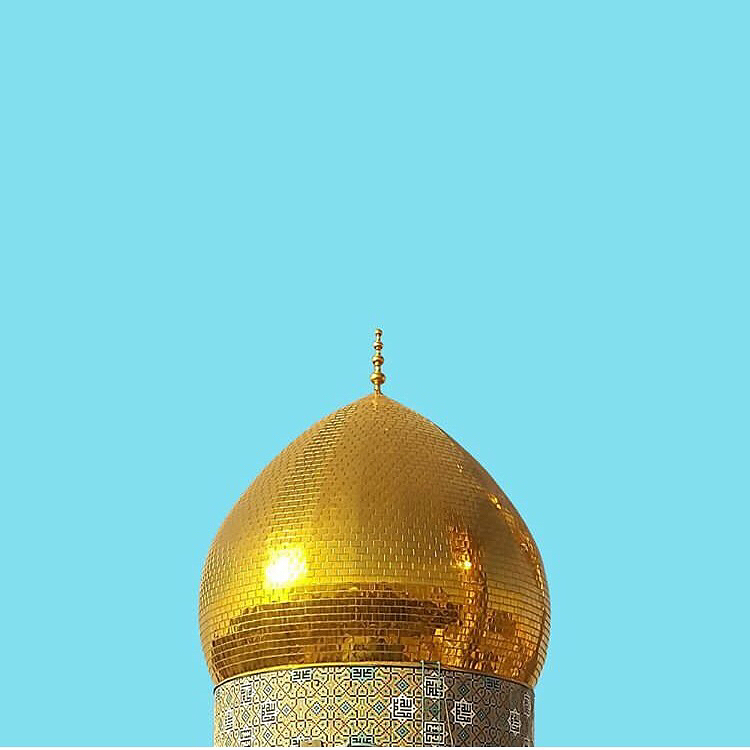 I too jumped on the bandwagon and reached out to Aghabi to learn more about her story, the support she’s received so far, and the challenges she anticipates to face. “Where were you all before? Why did no one seem interested in accessibility?” Aghabi jokes as I walk into one of Amman’s accessible cafes, where we planned to meet, just as she was wrapping up another interview with a local journalist. Segregation starts at the school level. Traditionally, students with disabilities are placed in separate schools. This approach isolates disabled students from their communities, which also means that children grow up without being exposed to diversity and without a complete understanding of the community we live in. The 26-year-old admits that had her life’s circumstances been different, she might not have given the issue of accessibility much attention either. Growing up, Aghabi dreamt of pursuing a career that would have her travelling frequently across the globe. It was the summer of her high school graduation that changed everything, but not the typical way a high school graduate would expect things to change. 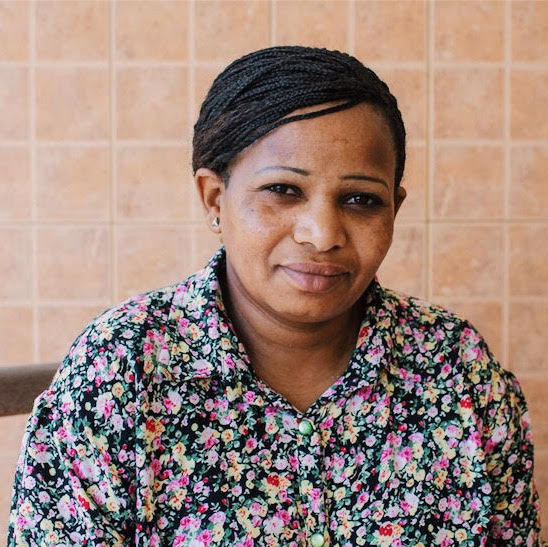 After surviving a car accident in 2009, Aghabi was left with a spinal cord injury that rendered her lower body paralyzed and her movement confined to a wheelchair. She then spent a year in treatment at a hospital in Germany, before moving to California to pursue a Bachelor’s degree in International Development at UC Berkeley. “Navigating my way on a wheelchair in Berkeley was relatively easy; in addition to the supporting infrastructure, all the accessibility-related information that I needed to plan my outings was readily available online,” she explains. 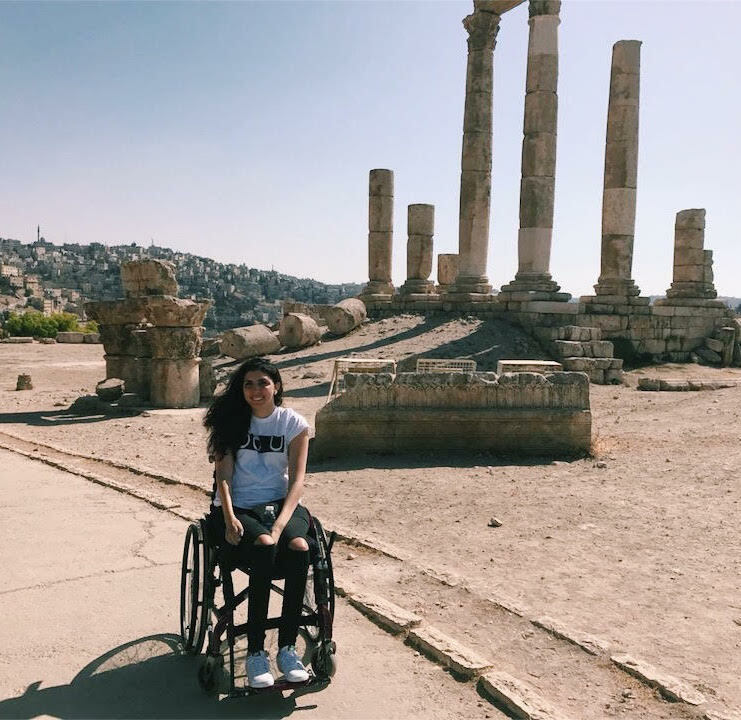 After surviving a car accident in 2009, Aghabi was left with a spinal cord injury that rendered her lower body paralyzed and her movement confined to a wheelchair. Aghabi didn’t realise the dire need for resources on accessibility in Jordan until she returned to settle back in Amman with her parents. 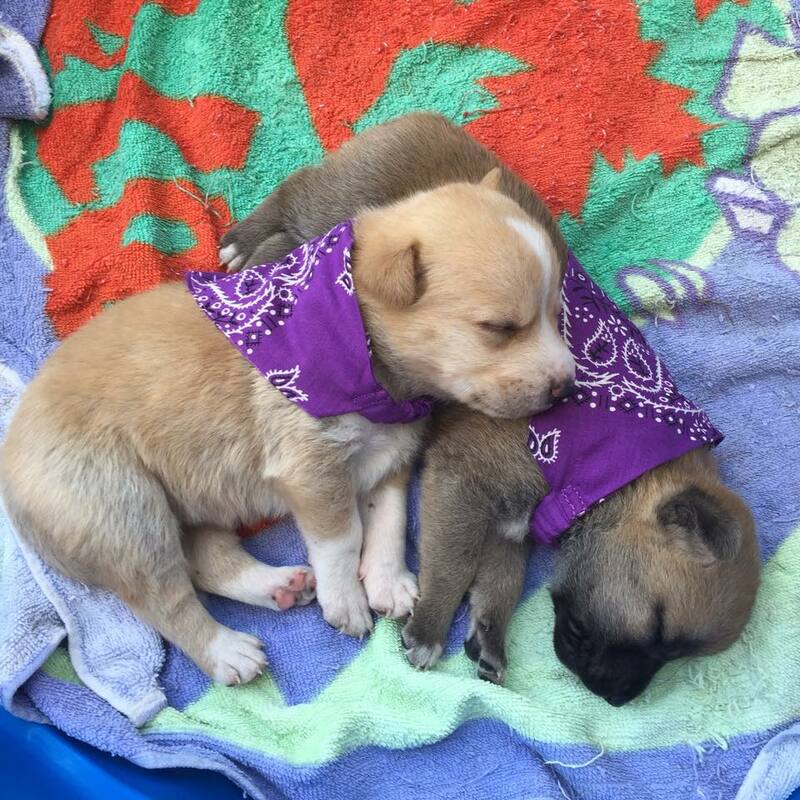 “Planning my day became additionally and unnecessarily difficult. I would spend hours on Google going through images and looking up wheelchair accessible facilities in Jordan” she continues. “I would have to call place after place to ask if they have stairs, ramps, elevators and accessible toilets. I became the go-to resource for accessible places around town among my friends and colleagues,” she says proudly. Motivated by her desire to make it easier for people to find all the accessibility related information they need to plan their outings, Aghabi decided to turn all the information she collected into a website and to blog about her experience and the challenges she faces, as a wheelchair user, visiting different places around Jordan. “There are many accessible places that people don’t know about, which means that most wheelchair users end up being stuck at home,” she explains. In fact, the idea for her website and blog was sparked after multiple conversations with her boss, who would always ask her for recommendations on accessible places to take a friend of his who is also a wheelchair user. “But it’s not just people on wheelchairs that benefit from having accessible facilities - anybody can break a leg! And let’s not forget the elderly and parents that have children in strollers,” she adds. ...my experience so far has made me realise that when it comes to our country’s development, we shouldn’t always wait for change to come from the top. We can create significant impact by taking the initiative ourselves. Aghabi is grateful for the support of Prince Mired bin Ra’ad, Head of the Higher Council for the Affairs of Persons with Disabilities, where she works. 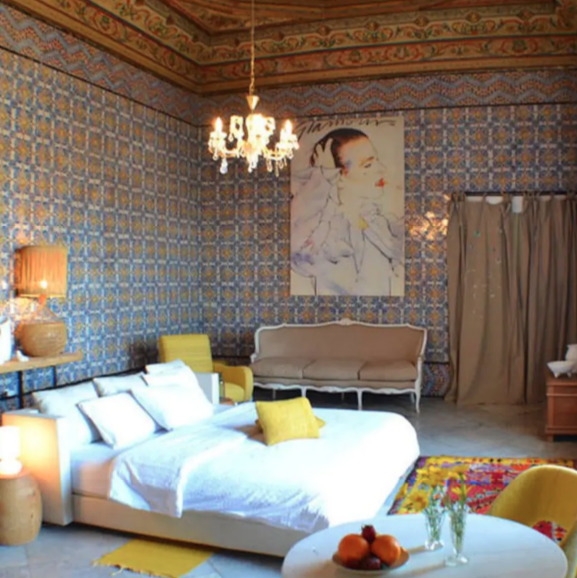 She also says that she’s keen on collaborating with other government bodies including The Greater Amman Municipality and the Ministry of Tourism. “I received a few positive comments on social media from ministers and government officials, but nothing formal yet,” she adds. Making Petra and Wadi Rum accessible is the dream. Accessible Jordan has also received interest in collaboration from a couple of International NGOs operating in Jordan. “I’m thrilled by the prospects, but I would hate for this work to be completely championed by International Organisations. We have the brains and the capacity to do the work,” Aghab says with a sense of national pride. We can only go so far without a clear regulatory framework for accessibility. Aghabi shares with me stories of instances where private efforts have conflicted with government regulations. Like the time a local grassroots organization raised funds to build portable ramps at the Roman Amphitheatre in downtown Amman - a historical hub for cultural events at the heart of the city. The ramps proved useful for a summer of events but were eventually removed because they didn’t meet the approved safety specifications. “There is vagueness around these regulations and where one can find them,” she exclaims. People are surprised when they find out that I work two jobs and run Accessible Jordan on the side. They’re like: ‘oh, you’re smart!’, as if having a physical disability diminishes your mental capabilities. From Aghabi’s perspective the future of accessibility in Jordan is promising, especially with the passing of the new Law on the Rights of Persons with Disabilities for 2017, which cites that buildings, public and private, as well as tourist locations, must provide accessibility to people with disabilities. “Strict enforcement of such laws is needed, so are heavy fines for those who fail to comply,” she adds. As for her future plans for Accessible Jordan, Aghabi talks about launching an Arabic version of the website to reach a wider audience and creating a streamlined app for easier access on mobile devices. She also mentions her desire to get people on board to form a team at a later stage. 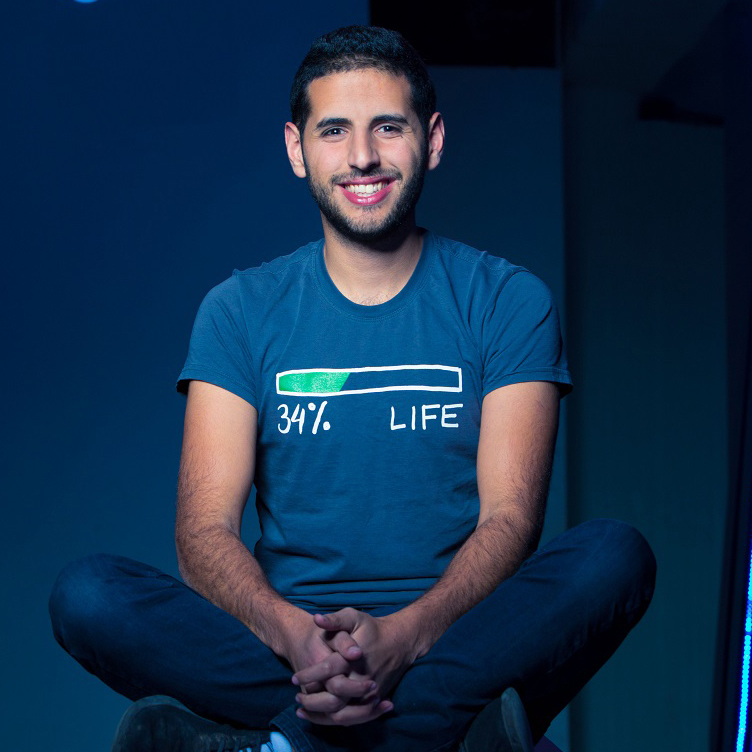 “People are surprised when they find out that I work two jobs and run Accessible Jordan on the side. They’re like: ‘oh, you’re smart!’, as if having a physical disability diminishes your mental capabilities,” she says sarcastically. “This negative cultural perception towards people with physical disabilities goes back to the point I mentioned earlier regarding segregation at the school level. The importance of inclusivity in schools is something that I aim to raise more awareness around” she concludes. Since our meeting in September, Aghabi successfully managed to collaborate with restaurants, schools, banks, embassies, not-for-profit organizations and research centers to help them take steps towards making their facilities accessible for everyone. She also met with several school administrators that are taking measures to include more disabled students and student-led initiatives that aim to tackle the issue of accessibility at their schools and universities. Accessible Jordan has also received funding from UNESCO’s NET-MED Youth Program. You can follow Accessible Jordan’s news and updates on their website, Facebook, and Instagram. 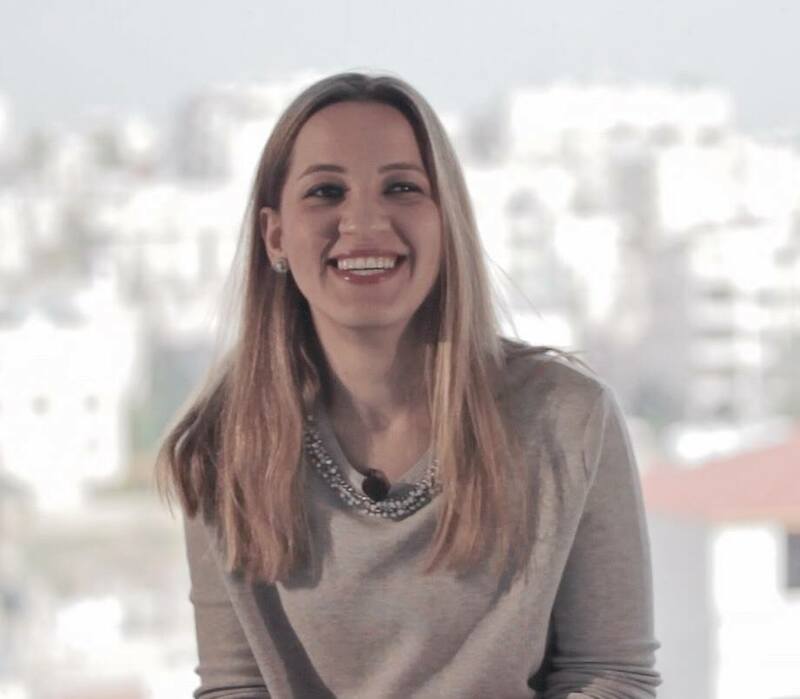 Dina Bokai is an independent copywriter, storyteller, and creative living advocate based in Amman, Jordan. She aspires to inspire others to unleash their creativity and realize their best potential. When she’s not writing, you’ll find her exploring beyond her comfort zone on a yoga mat or in a contemporary dance class.